American band Every Mothers Nightmare achieved a fair level of success in the early 90’s, releasing two albums on the Arista Records label and getting a fair bit of exposure with the videos for their singles. Another three albums were released between 2000 and 2002. The reformed band released an EP in 2015 and that is to be followed by a full length album called “Grind” on 6th October. More details in the press release below. 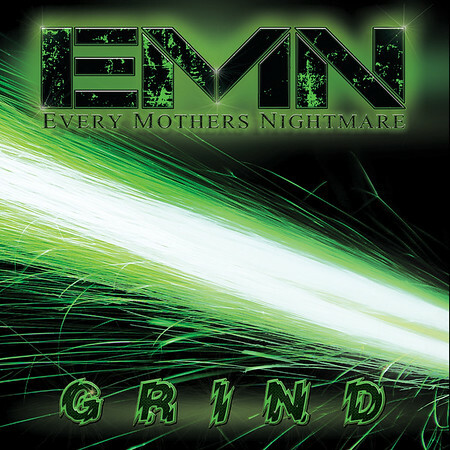 US rockers EVERY MOTHER'S NIGHTMARE to release their forthcoming full-length album 'Grind', on October 6, 2017 via HighVolMusic (MRi/Sony, Cargo). Grind features a total of 11 tracks and three videos. The enhanced CD contains the five tracks from the self-released EP, plus three brand new studio tracks, three new live tracks recorded from the band's performance at Minglewood Hall in Memphis, TN on August 21st, 2016 and the new video for “Push” along with the videos “Blown Away” and “Loco Crazy”. Formed in the early 90's, EVERY MOTHER'S NIGHTMARE is no stranger to the music scene. After quickly arriving on the Memphis rock scene, word spread about their energy-packed live performances gaining them the attention of Clive Davis (Arista Records). After signing with Arista, EVERY MOTHER'S NIGHTMARE became staples on MTV’s Headbanger’s Ball with their music videos for “Walls Come Down”, “Love Can Make You Blind”, and “House of Pain”. EVERY MOTHER'S NIGHTMARE received a great deal of national press and toured, promoting the first two albums, allowing them the chance to open for bands such as Cheap Trick and Dream Theater. They performed many headlining shows, drawing in large crowds and selling out venues. EVERY MOTHER'S NIGHTMARE has been featured in hundreds of hard rock magazines both nationally and internationally like Metal Edge as well as appearing on shows like the Joan Rivers’ talk show.